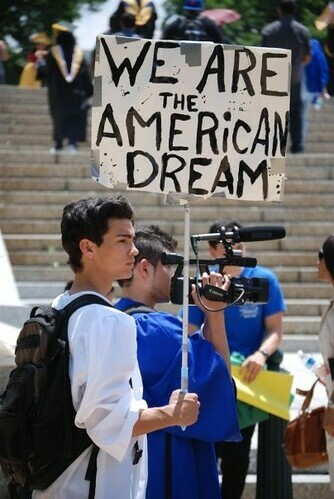 Eleven states currently provide in-state tuition to immigrants without legal status in the United States. New Jersey could make it an even dozen if it passes S1036/A990, the in-state tuition legislation for undocumented students who have attended and graduated from high school in New Jersey. Earlier in the week, the New Jersey Assembly Appropriations Committee and the Senate Budget and Appropriations Committee both voted to send the legislation to the floor for the first time in New Jersey history. The bill was endorsed by the outgoing Governor Jon Corzine’s Blue Ribbon Advisory Panel on Immigrant Policy, and the state legislature is trying to pass the bill before Governor-elect Chris Christie resumes office. Floor votes in the Assembly and Senate are scheduled as early as this Thursday. It is critically important to get this bill on Governor Corzine’s desk because if it does not pass in this legislative session, it may not get anywhere for another 8 years with GOP Governor Christie in office. For those whining about budget shortfalls and expenditures, the fiscal note actually reads no impact because “higher education tuition revenues are not a part of State budgeted expenditures.” However, there is certainly a net economic benefit to educating people. According to the 2002 Census Bureau, a high school graduate earns $1.2 million in a 40-year span compared to $2.1 million for a person with a bachelor’s degree. Therefore, a single person with a bachelor’s degree who earns an average $60,000 of taxable income per year will contribute $9,640 to taxes and welfare annually. Everyone complaining about those “illegals” not paying taxes, not giving back to society, not speaking English should look carefully at the picture and see that the beneficiary of the bill is the antithesis of their complaints. The bill benefits those undocumented students in New Jersey who have grown up there, paid taxes, and speak English quite fluently. The goal is to provide tuition parity so that immigrant students will be in a better position to give back to New Jersey and the United States upon their graduation from college. This is not a giveaway but an opportunity for young immigrants to reach their potential and eventually contribute to state coffers. It makes more sense than educating and investing in students from K-12 only to waste their potential by enacting barriers to higher education or deporting them to foreign countries. New Jersey should pass this bill and reap the benefits of a more educated, tax-paying immigrant population. It’s a no-brainer for the Garden State. After you sign the petition, click here to follow-up with a phone call to New Jersey state senators.